JACQUES ADNET (1901 -1984) was a French Art Deco Modernist designer and architect. His style was the epitome of luxury. In 1950 he formed a partnership with the French fashion house Hermes, where he developed a collection of leather covered accessories and furniture, one of which was a round leather mirror with brass hinges. 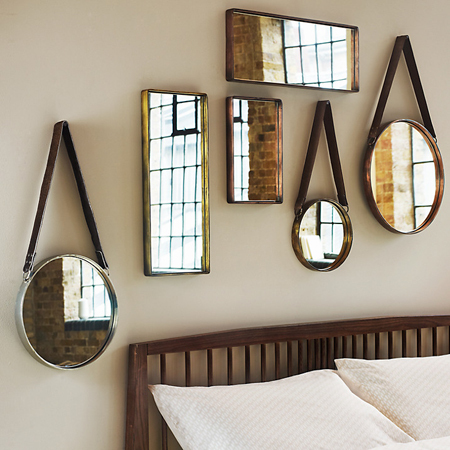 The mirror has wonderful attention to detail in particular that the strap is in direct proportion to the mirror's dimensions. I have my eye on the matt brass reproduction by JOHN LEWIS, for the MESSY STUDIO bathroom but they don't deliver internationally. WEYLANDTS has the canvas version but it is not as gorgeous as the brass. Anyone going to London? 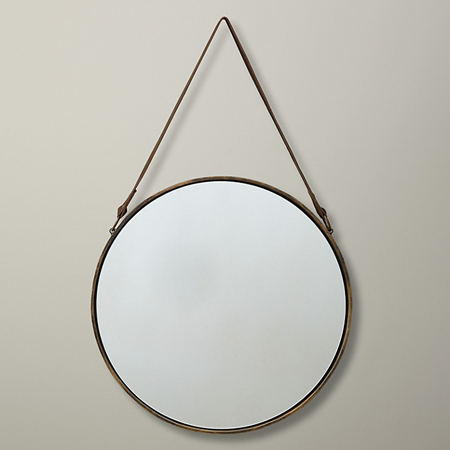 Anthropologie is also selling similar mirrors.